Our warmest congratulations to Dame Fiona Kidman for her winning Novel ALL DAY AT THE MOVIES, published by Vintage. 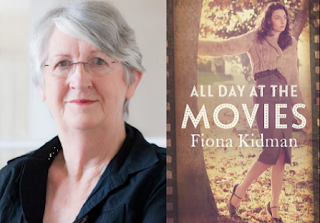 Wry, moving, beautifully observed and politically astute, this latest work from one of our finest chroniclers pinpoints universal truths through very New Zealand lives. Each category will award a grand prize of NZ$1000. Books must have a connection to New Zealand Heritage. To be eligible for entry, books must have been published between August 2015 and September 2016. An entry fee of $35 applies. Please note: the competition is open to writers residing outside of New Zealand so long as the book entered features New Zealand setting(s). Each category awards a prize of $200 for first place. Hidden Histories is the theme of this year’s BECA Heritage Week. Poems and Prose pieces submitted to the competition should relate in some way to the theme of Hidden Histories. They must also feature New Zealand setting(s). Poems can be up to 50 lines. Prose entries can be up to 1800 words, and may be short stories, essays, memoirs or features. The Girl With the Lower Back Tattoo is the femoir from Amy Schumer, one of the highest profile comedians in the world right now. Schumer has an interesting story to tell: she was born into a family of privilege, but her parents lost all their money when she was a child; she went from taking private jets to the Bahamas to sharing a bed with her mother in a basement flat. At the same time, her father developed MS and her parents’ marriage collapsed after her mother had an affair with the father of Schumer’s best friend. Schumer started doing standup in her early 20s and, within a decade, had achieved huge success. The Girl With the Lower Back Tattoo is not, she writes, a memoir: “I just turned 35, so I have a long way to go until I am memoir-worthy.” But considering she discusses everything from her hatred of watercress to her bowel movements before a show, it’s hard to imagine what else she could include in an autobiography. Presumably she would feel less obliged to include such typically femoir-esque “you go girl!” sentences as, “I feel beautiful and strong” (which contradict less cliched lines such as, “I sometimes forget a man may have actual feelings for me”). Nor would she need to soften her edges. "Alongside the vogue for women to reveal their personal lives is another which excoriates them for revealing too much"
Schumer has insisted: “I’m not trying to be likable.” You would not guess that from her book, in which she claims the only change her new riches have made to her life is she gives bigger tips. I’d have been a lot more interested to read how it felt when she negotiated her book advance from $1m to $8m, but that would perhaps have strayed too far outside the femoir’s approachable everywoman bounds. In trying to be so likable, Schumer seems dishonest. 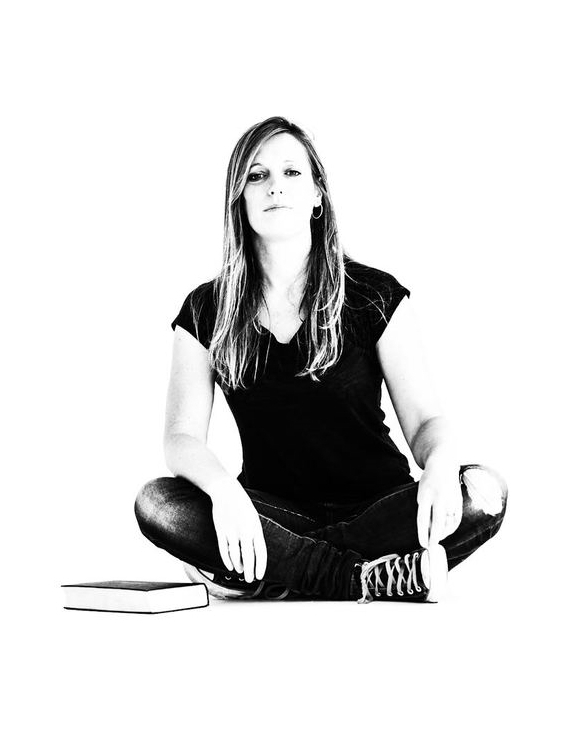 The only essays that ring true are those about her family, in particular the one in which she describes how it felt to watch her increasingly sick father lose control of his bowels in an airport and, later, how furious she still is with her mother for having had an affair 20 years ago. I subscribe to the school of Nora Ephron – arguably the mother of the femoir – which says the statute of limitations for being mad at your parents for ruining your childhood is up when you leave home. But you can’t tell a woman to reveal her feelings and then damn her for having the wrong kind. As you’d expect of a comedian of Schumer’s calibre, the writing captures her voice and is often funny. But this book proves the theory that the larger a book’s advance, the less editing it gets. I went to see Schumer’s live tour while reading this book and, although she relates many of the same stories on stage, the contrast between the two experiences underlined the reductive nature of the femoir. On stage, she dealt with the subject of inane women’s magazines in a brisk, amusing five minutes. Here, she spends 10 stodgy pages on the subject, making heavy weather of their effect on women’s self-esteem and saying nothing new. It feels like Schumer is fighting the genre, insisting she has “no self-help or advice for you”, only to claim later, “I am all of you”, she reckons. The 'femoir' (yes it's a thing!) was meant to celebrate original female voices, but it has ended up smoothing down their spikiness. Far from showcasing funny women, it grinds them down into feminism lite. Just when Master Chef Chelsea Winter couldn't give any more she slides in with this nifty collection of comfort food yummies. From the day it arrived we've been treating ourselves to dishes that are perfect for the slow warming Spring and the fading Winter days. Her Beetroot, Carrot and Orange Salad went down a treat at our first BBQ the other day, paying respect to the dying embers of the winter veges. It's a refreshing wake up call and brilliant (in colour and taste) addition to the sausages and grilled steak. Goes well as a leftover for the office lunches, too. Her Cajun Chicken salsa with mango and Haloumi, the roasted Brussels and bacon and the winter (no pun) rice comforter are all excellent and really easy to do. The coconut-poached Chicken Noodle salad is a real winner. Most of the recipes are pretty straight forward and uncomplicated. That's because her philosophy is all about easy ingredients and good. I can remember my grandmother making brandy snaps the old fashioned way - bending them over a spoon to get the curl and filling the with cream. 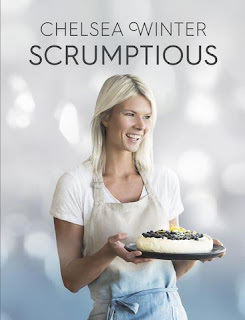 Chelsea must have nicked her recipe and done away with the fluffy bit. Overall it's good cooking without the BS 'chefy' stuff and I like that. Better still the recipes are generous and forgiving (you don't have to be pinpoint accurate on the measurements). So she might look like a model but everything here is genuine and authentic, and real! "Get me a soft drink!" yelled Lizzy McNay. "Get me a dozen! I'll drink them all day. Soft drinks for breakfast, soft drinks for brunch, Soft drinks for dinner, soft drinks for lunch!" Lizzy loves fizzy drinks. But on the day of the school cross country, Lizzy is involved in a carbonated catastrophe. Can her classmates save her? And will Lizzy ever change her fizzy ways? 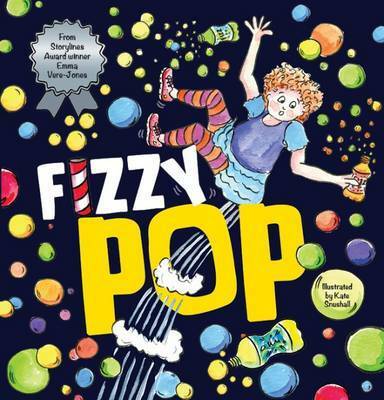 From the author of award winning picture book Stan the Van Man comes a fantastical tale of flatulence, fizzy drinks and friendship. Fast-paced, catchy rhymes and ingeniously different font size for added emphasis and some well placed alliteration. Kate Snushall’s vivid illustrations keep the story moving and make it visually appealing. Lots of action on each page. The use of cropping to show both size and movement is also a very cool effect. Anything with farting is bound to get kid's vote and this one pretty much rides on that one joke. At times it's a bit lame but not to kids. My two loved the idea. Fizzy Pop made them laugh, while also having some subtle messages about over indulging on Coke and Fanta. Cool. What Pet Should I Get? is a Dr. Seuss children's book, posthumously published in 2015. Believed to have been written between 1958 and 1962, the book chronicles the adventures of Jay and Kay the siblings from Seuss' One Fish Two Fish Red Fish Blue Fish in their attempts to buy a pet. In a pet store, a young brother and sister (Jay and Kay) are trying to choose a pet. They consider a vast array of possible pets as their deadline of noon approaches. Finally they settle on a pet whose identity remains unrevealed. After Theodor Seuss Geisel, who wrote as Dr. Seuss, died in 1991, his wife Audrey Geisel renovated their house in La Jolla, California. Geisel went through her husband's papers together with his assistant Claudia Prescott, donating most of his material to the University of California, San Diego. However, a few sketches and unfinished projects were collected in a box and left not donated. 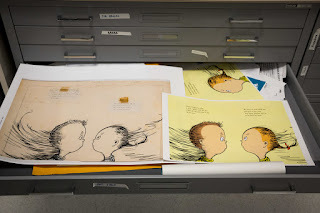 In October 2013, Geisel and Prescott examined the leftover sketches and projects closely for the first time; the materials included illustrations for alphabet flash cards, sketches collectively titled The Horse Museum, a folder of miscellaneous drawings labeled "Noble Failures", and the most complete project, a manuscript titled The Pet Shop consisting of 16 illustrations and accompanying pieces of typed text. Cathy Goldsmith, a Random House associate publishing director who had been the art director for the last six Dr. Seuss books and who is reportedly the last Random House executive to have worked directly with Seuss, examined the manuscript and judged it to date from between 1958 and 1962, in part because the brother and sister characters in the book are the same as in Seuss's 1960 book One Fish Two Fish Red Fish Blue Fish. It is possible that Seuss conceived The Pet Shop first but eventually decided to use the characters in a less narrative-structured book instead and developed One Fish Two Fish Red Fish Blue Fish around them. The Pet Shop was reconstructed for publication by Goldsmith, who also colored the black-and-white illustrations. The reconstructed book was published by Random House in July 2015 as What Pet Should I Get?. Random House reported it would likely publish two additional volumes based on the other material found in the same box.
."Horton and the Kwuggerbug": A Kwuggerbug lands on Horton the Elephant's trunk and asks him to take him to his Beezlenut Tree, which Horton agrees to since when they get there the bug promises Horton will get half the nuts. 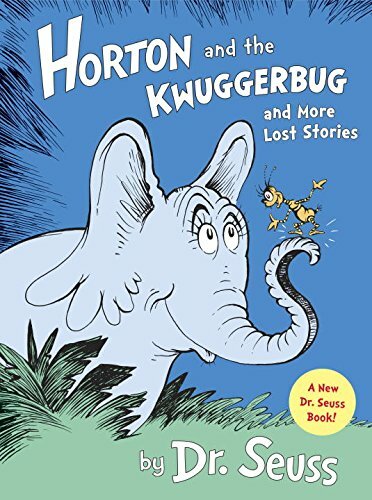 The journey to the Beezlenut tree is quite hazardous, and Horton goes through all the hardships including swimming across a large crocodile infested river and climbing a large and rocky mountain, with the Kwuggerbug taking advantage of Horton's good nature. In the end, the Kwuggerbug tries to double-cross Horton, but a well-timed sneeze makes things more even.
."Marco Comes Late": Marco from And to Think That I Saw It on Mulberry Street explains to his teacher why he was late for school. His explanation involves a bird who landed on his books and laid an egg there, and various animals who argue over whether he should protect the egg or get to school on time. In the end, the teacher sees through the tall tale for the morsel of truth.
."How Officer Pat Saved the Whole Town": Officer Pat sees a gnat about to disturb a cat and realizes this could be the start of a string of disasters that could obliterate the town. So Officer Pat intervenes and the town is saved.
."The Hoobub and the Grinch": A very short story in which a Grinch convinces a Hoobub that a piece of green string is better than the sun. Michael Taube of The Washington Times was enthusiastic about the book, writing, "If you loved Dr. Seuss as a child (and as an adult), these little-known stories will bring back many fond memories." The reviewer for Publishers Weekly was more critical, stating, "By no means gems, these archives suggest how Geisel tinkered with characters, developed his signature tetrameter, and commented on ethical issues, circa 1950." I'd definitely agree with that. As soon as the book arrived both my girls pounced on it and started to read along. The zaniness is still there and all the fun remains. Just like the nutty Horton books we knew, this is a fine extension. Introducing the brilliant and brave new heroine from the wonderful world of the bestselling and award-winning and prolific English writer Jacqueline Wilson. 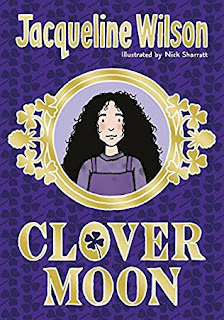 It's a tale of loss, determination and bravery, as Clover fights to get the life she deserves, as she suffers the violence and hardship of home. After tragedy strikes the family, Clover in particular, she decides that she is going to make her life better once and for all. It takes a while - but she battles and then wins. Clover is safe and happy, and the fear and misery that once burdened her heart is gone. Unfortunately, near the ending the story takes a sudden turn, when the person Clover feared and hated from her past orders her to come back. To return to her old life of terror. Although it's a sort of cliffhanger, the story has a kind of happy ending, I promise. Wilson Jacqueline is an extremely well-known and hugely popular author. My 7 year old Kate literally devours her work, as she did this one. Her most 'creepy' book The Illustrated Mum was chosen as British Children's Book of the Year in 1999 and was winner of the Guardian Children's Fiction Award 2000. Jacqueline has won the prestigious Smarties Prize and the Children's Book Award for Double Act, which was also highly commended for the Carnegie Medal. In June 2002 Jacqueline was given an OBE for services to literacy in schools and in 2008 she was made a Dame. I don't want to spoil the story but suffice to say that Wilson continues to delight with her tales and that my daughter loved this one. It comes with Kate's 'five star' recommendation. If you love Hetty Feather, then, she said, you will certainly love this book too! What more can you say. 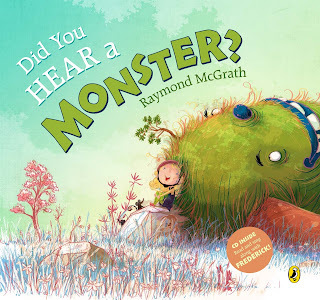 I really enjoyed reading this delightful monster-themed picture book with Emily, my five year old. After a couple of times SHE read it to me! The pictures a clean and dramatic but not scary or graphic. The story is simple. The main character, Clarice Caroline is not exactly a brave little girl. In fact, she's a little bit of a frighty-cat, frightened of . . . EVERYTHING! This book is the companion title to It's Not a Monster, It's ME! and the award-winning Have You Seen a Monster? It's a simple story filled with a charming suspense, and a surprise twist. The package includes a bonus CD with three songs performed by The Little City Critters, plus a read-along version of the story. Good value! Raymond McGrath is an award-winning animation director, animator, illustrator, designer and writer who has been working in children's television and advertising for nearly twenty years. He has completely lost count of the number of books he has illustrated, television shows he has worked on and TV commercials he has made (because that requires maths and remembering and he isn't so good at either). But he does remember that he loves gardening, photography, music and drawing, that he is the creator and director of the educational pre-school TV series Puzzle Inc, and that he has both written and illustrated numerous picture books. Here's the Youtube clip from It's Not a Monster, It's ME!